On Tuesday 10th May Carymoor is hosting a free Go Global workshop that includes a free buffet lunch! Spaces are still available but booking is required, please phone Juliet on 01963 351350 or e-mail jl.swap@carymoor.org.uk. GLADE, the Global Learning and Development Education team is delivering this informal day that will look at how you can reduce your impact on the world and on your pocket. 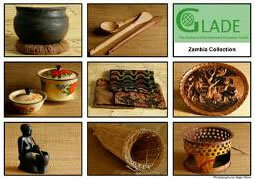 Using GLADE's exciting Zambian artefact box you will find out about growing methods that make the most of precious resources and how we could replicate some of these ideas here in the UK. In other parts of the world rubbish is creatively crafted into toys and useful items. You will get to look at some of GLADE's examples and then have a go at making your own! This workshop will be the culmination of a series of "Cut Waste, Cut Costs" workshops at Carymoor. 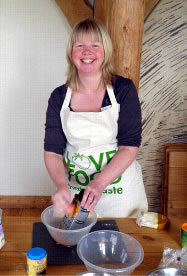 In "Frugal Food" we learnt about ways to reduce food waste and use up your left-overs. 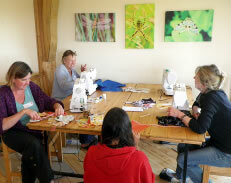 In "A Stitch In Time" participants enjoyed using scrap fabric to make bunting, lavender bags and a draft excluder as well as up-dating old clothes and altering charity shop bargains! 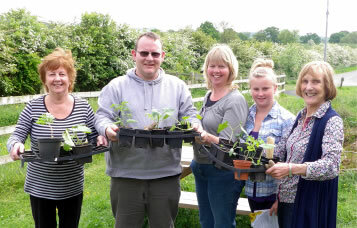 And in "Get Growing" everyone found out about the "no dig" method of growing vegetables and got to sow seeds and take away plants to grow on. Gillian said she thought "it was the nicest course I've ever been on!" The workshops have taught people how to save money by being careful with resources and making the most of what they've already got. Of course, all of this is not just good for our purses it is also good for the environment so everyone's a winner (except the big corporations, but that's another course altogether! ).